Today I am travelling to Pittsburgh, Pennsylvania for International Quilt Market! 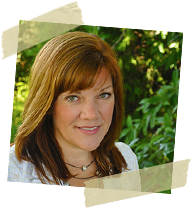 Tomorrow afternoon, I will be doing a “Schoolhouse”- Schoolhouse is a series of workshops for shop owners. My presentation is called “New Ways to Move Old Merchandise.” This workshop will give shop owners some creative ideas to move out older stuff so they can fill their shelves with NEW STUFF that they order at Quilt Market. 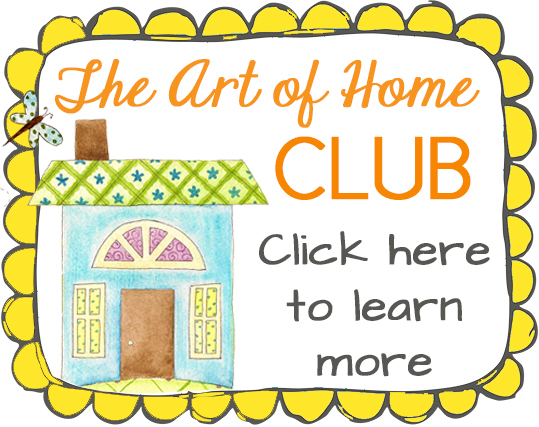 After all, we all love walking into our favorite quilt shop and seeing new stuff…. I remember when I was a kid, my grandmother would always make Pepperoni Bread for special occasions and it would get gobbled up… She never showed me how to make it, but I think it was basically frozen dough, provolone cheese and sliced pepperoni all rolled up and baked, kind of like a stromboli. Last week I had some pizza dough in the freezer, but no provolone or pepperoni. Hmmm….. what to do, what to do….. I scrounged around in the fridge and found some cheddar cheese and turkey… but it needed something for flavor because turkey is a little blah compared to pepperoni… How about some hot pepper relish? Yeah, that’s the ticket…. And some cream cheese to hold it all together…. *Defrosted frozen pizza dough according to the package directions. *Mixed the cream cheese with the pepper relish. *Rolled the dough into a rectangular-ish/oval-ish shape. *Spread cream cheese pepper mixture over dough. Placed turkey slices on top, then sprinkled the whole thing with shredded cheddar cheese. *Rolled it up and tucked the ends over the seam. *Placed on greased foil with seam down and cut a few slits in the top. *Baked at 425 degrees for 20-25 minutes. If you have pizza dough in your freezer, you can roll it up and bake it with whatever you have on hand… I laid in bed last night and thought of some other combinations (yes, these things do keep me awake at night)…. Do you have any other ideas for fillings? Do you have an ingredient or two that you always keep in your freezer or pantry?? This article was posted in Featured, Lunch/Dinner/Sides, Recipes & Food. Bookmark the permalink. Follow comments with the RSS feed for this post.Post a Comment or leave a trackback: Trackback URL. OMG! My mouth is watering. 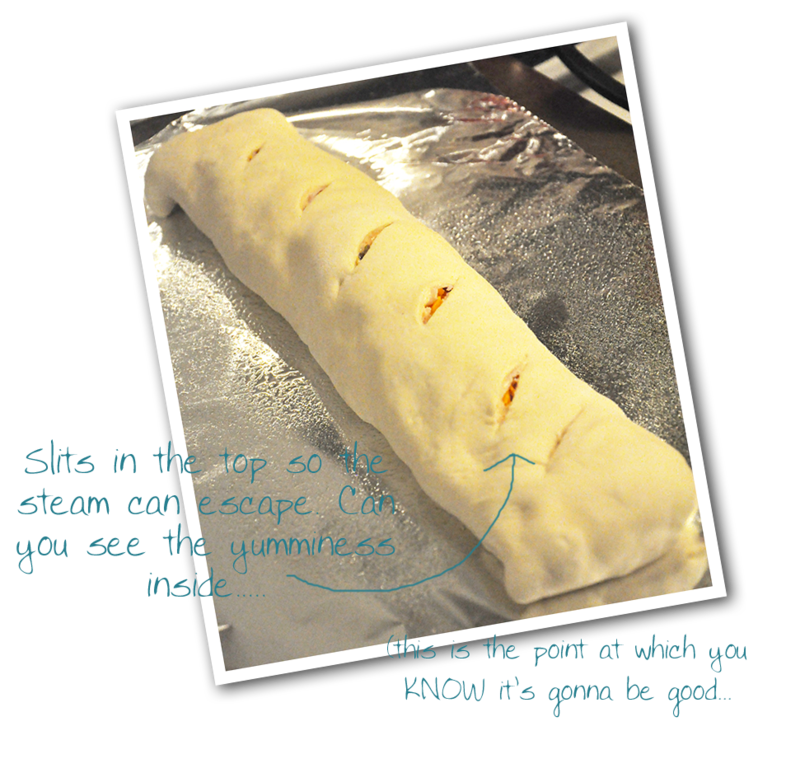 That recipe sounds sooooo delicious plus I love the fact that there could be a zillion ways to fill that Stromboli. How about corned beef, swiss cheese and sauerkraut?` Make it reuben stroboli! Hummm, here’s another idea. 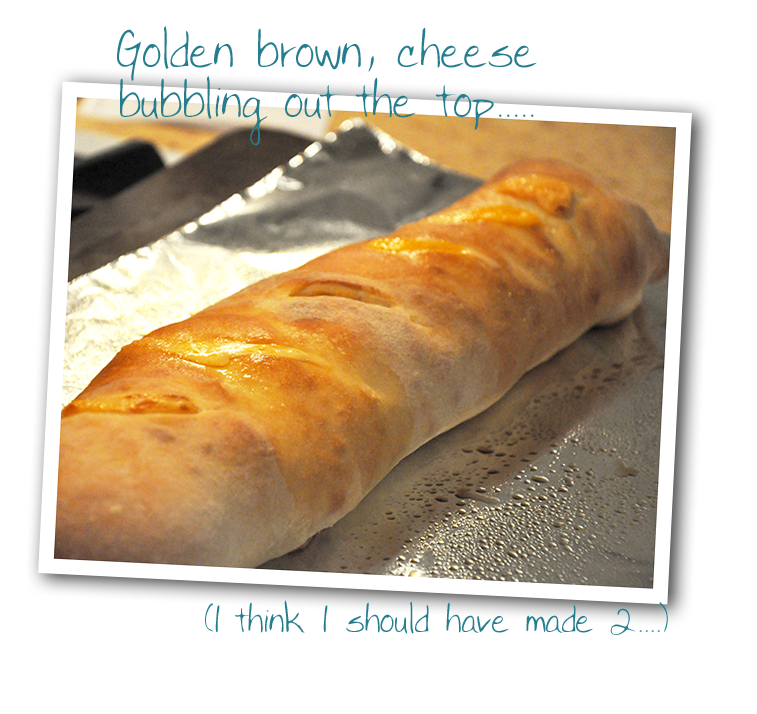 Ground beef and cabbage stromboli! Would be an easier fix than when I make individual cabbage pockets stuffed with it! OMG! The possibilities are endless! Donna- I knoooooowwwwww! You can do anything! We keep Five Cheese Pasta Sauce, mozzarella, pepperoni, mushroom canned (in butter) or fresh and Jimmy Dean sausage regular on hand almost always just for either pizza or strombolis. 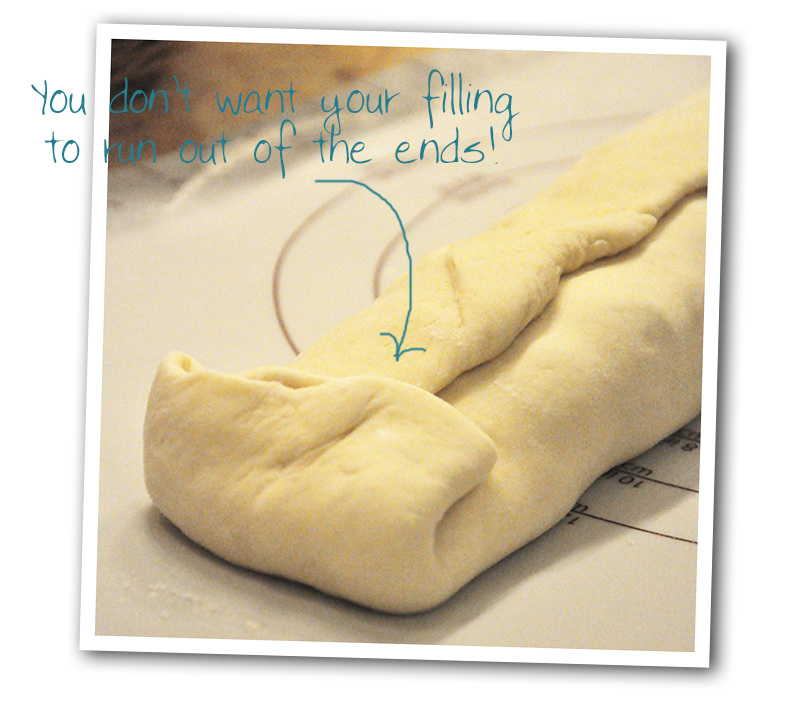 If you do not want to deal with dough using a loaf of French or Italian bread sliced in half lengthwise will also work! Brown the ground meats first for which ever method of dough used. 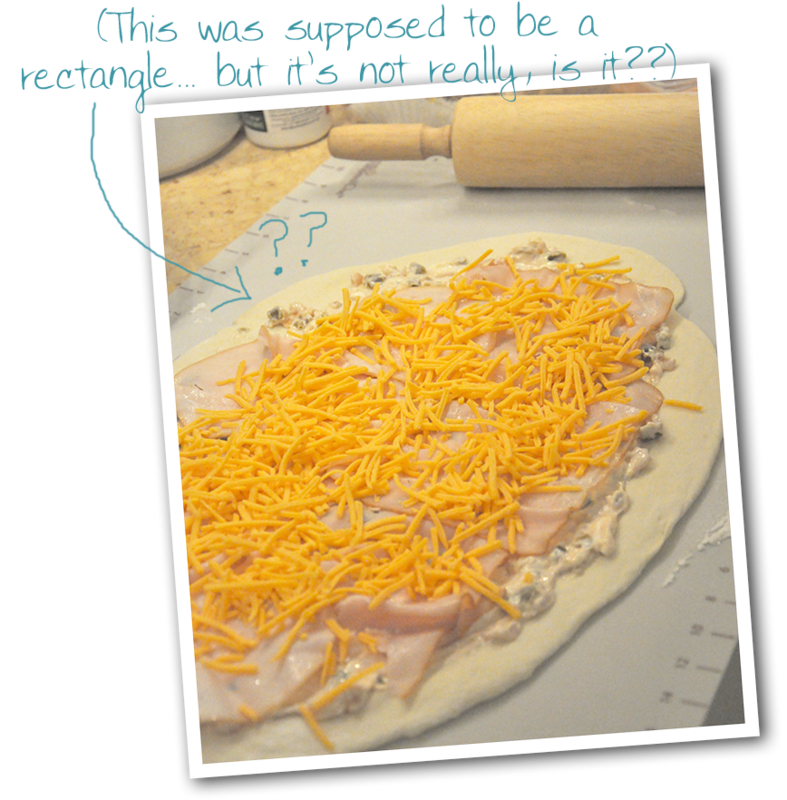 If using the loaf of bread layer sauce and toppings on one side, the cheese on the other side. Once baked – about 400 for 20 min, seal in aluminum foil for about 10 minutes before cutting. I used the foil under mine to bake it then wrap after it is baked open faced. Yummy! Not exactly Pizza King but oh so close! 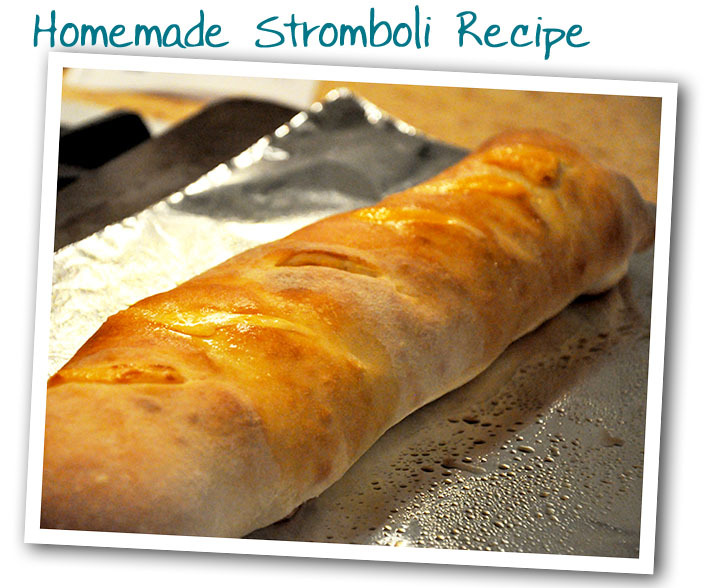 Dessert stromboli? Softened cream cheese mixed with brown sugar and cinnamon and a can of good apple pie filling. Sprinkle sugar on top before baking or drizzle with a simple glaze.